Evergreen Place Condominiums are located at 24/28/32/36/46 S. 900 E. 25/45 S. 850 E. Provo, UT 84606. 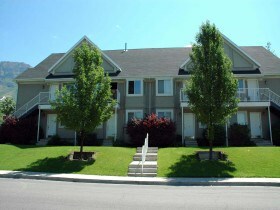 Evergreen Place Condos – Provo Utah are BYU approved for Males. The Evergreen Place Condos were built in 1993 and have 23 units. These condos are typically not FHA approved. The lowest recorded SOLD condo on the MLS for Evergreen Place Condos is in 1996. This condo sold for $61,900. The prices moved up to $125,900 between 1993-2000. These years saw the highest appreciation at Evergreen Place. The prices continued to climb for the next five years. In 2005 the highest reported sold condo at Evergreen Place came in at $144,000. This price set a new record. In 2009 and 2010 we saw the price take a slight dip as the Utah County Real Estate market moved into a decline. The condos reported two sales coming in at $115k and $117k. Prices are once again on the move at Evergreen Place. The two last recorded condo sales in 2012 have sold for $123k. Would You Like to Sell an Evergreen Place Condo? If you have an Evergreen Place Condo to sell contact Paul Teasdale with Team Teasdale Realty. We will provide you with the latest sales and quickly get your condo sold. Request a FREE Condo CMA from Team Teasdale and we will send you the latest sold comparisons at Evergreen Place Condos – Provo Utah. Would You Like to Buy an Evergreen Place Condo? If you are in the market to purchase a condo in Provo Utah contact Team Teasdale Realty. 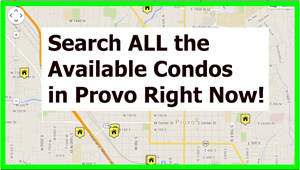 Paul Teasdale will take the time to show you the various condos for sale in Provo UT.